Come join us at Getaway Charters. We are number one when it comes to Orange Beach fishing charters on the Alabama Gulf Coast. We are located at Sportsman Marina in Orange Beach, Al, only 15 minutes from Gulf Shores and Perdido Key. 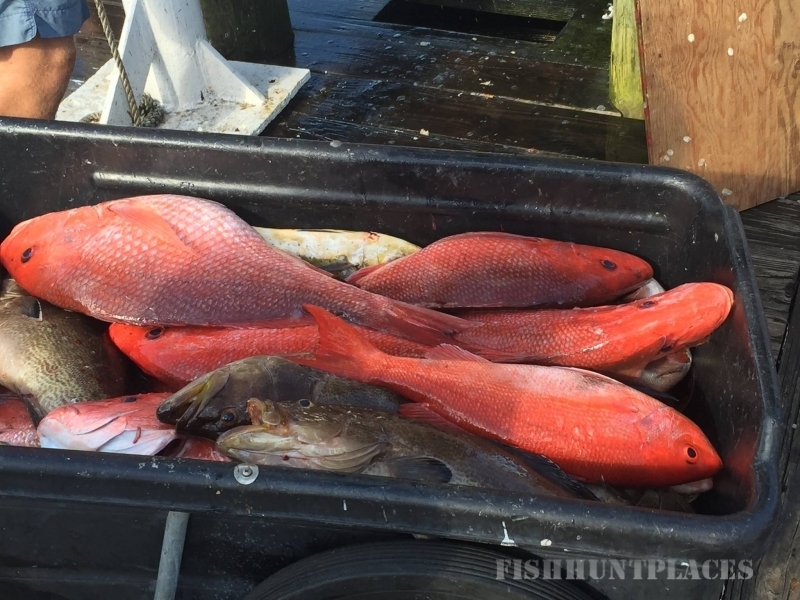 Enjoy Alabama deep sea fishing at its best. You will enjoy our Orange Beach and Gulf Shores family fishing charter boats. You may choose a 4, 5, 6, 8, 10 or 12 hour private fishing trip. 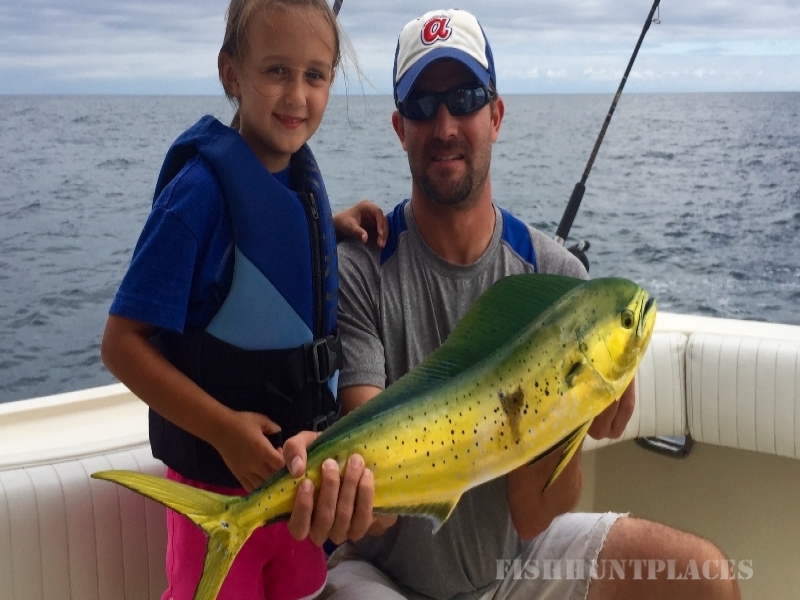 We do not offer party boat fishing or shared expense fishing charters. Looking for a dolphin cruise? You will most likely see dolphins and possiby sea turtles on our fishing trips. We welcome you and your family, kids from 3 years old, friends, businesses, 1st time anglers and the well experienced anglers. We are the top choice for Family Fishing near Gulf Shores. We are kid friendly. We welcome the many kids fishing in Orange Beach. Per U.S. Coast Guard regulations, we can accommodate a maximum of 6 passengers on each boat. This includes any age. Sorry there are no exceptions. You will appreciate our polite, professional captains and mates. Our mates are also licensed captains. Our team is professional, polite, knowledgeable and safety minded at all times. With over 21 years in business, we are still going strong. 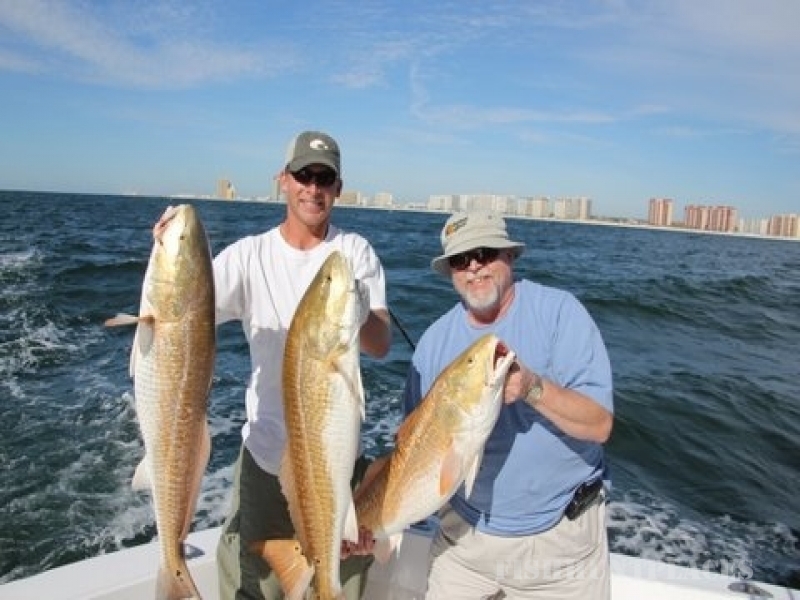 We offer two beautiful Orange Beach fishing charter boats for your fishing comfort. The GETAWAY is a 36' Custom Hatteras and ANOTHER GETAWAY is a 46' Hatteras Sportfishing Yacht. Relax with our cool a/c and comfortable seating. Enjoy Sirius Satellite Stereo inside and on the back deck. You will find our Gulf Shores fishing charter boats to be some of the finest boats on the Gulf Coast. 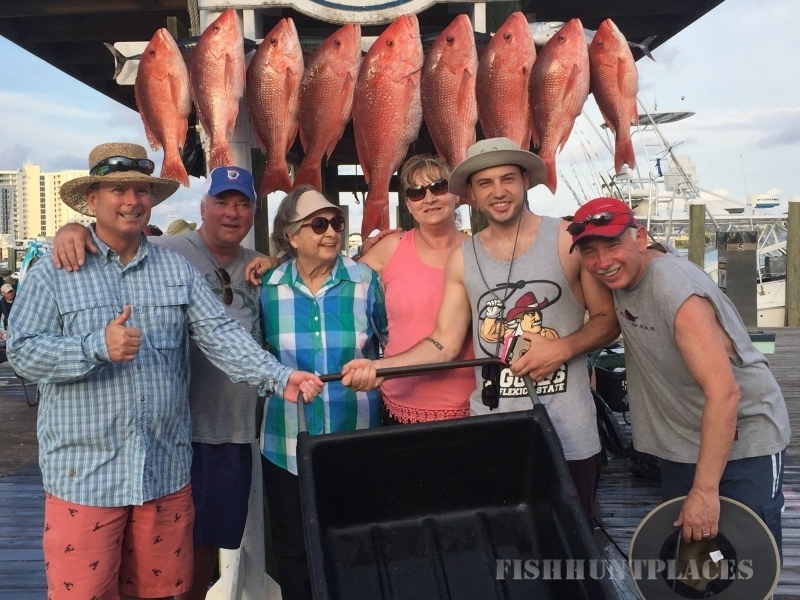 Experience the thrill of red snapper, vermillion snapper, white snapper, amberjack, red grouper, gag grouper, scamp grouper, king mackerel, Spanish mackerel and shark fishing on our Alabama Deep Sea Fishing Charters. Many of the species of fish have an open and closed season. However, there is always something to catch and something to keep. 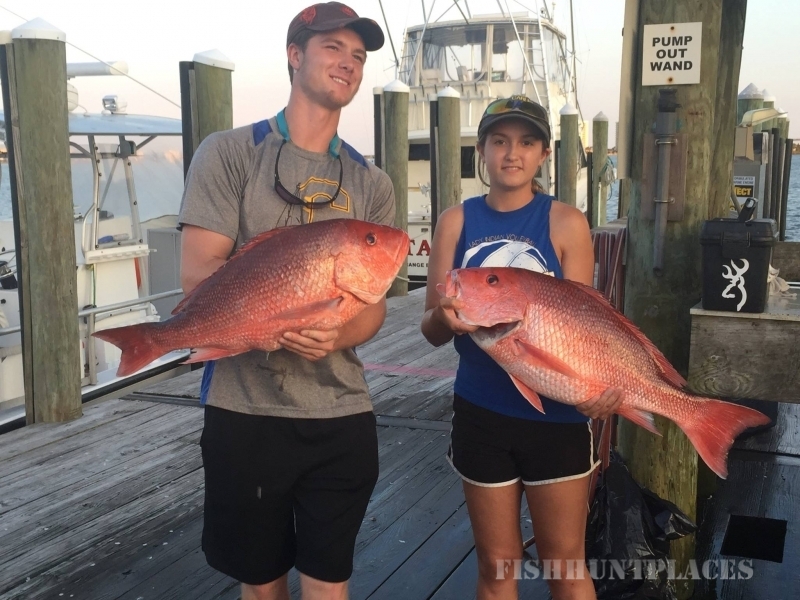 Take a look at our latest Orange Beach fishing reports.